An EP track serves as a bridge to the next album. Since 2004, music from De La Soul appears infrequently. But this year the group put out the For Your Pain And Suffering EP. In addition, And The Anonymous Nobody is slated for release this summer. 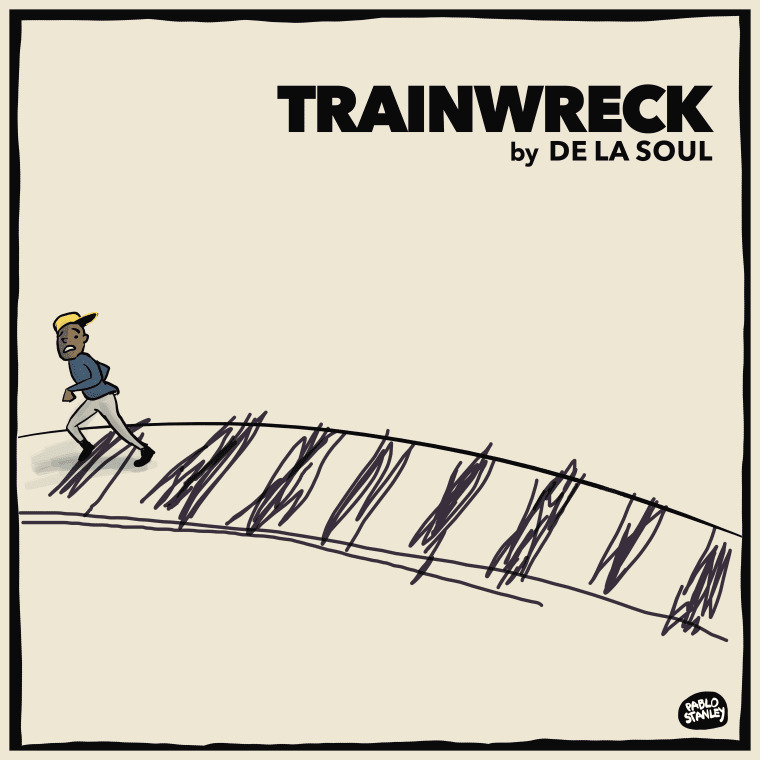 Today De La Soul made one of the EP's tracks, "Trainwreck," available on various streaming services. According to a press release, it's the only song from the EP that will also appear on the album. "Trainwreck" encourages a patient and cautious approach to romance: Don't walk out there with your hands up—good things come to those who wait. Listen below, and look for And The Anonymous Nobody August 26.